Ticket prices vary from 3 AED (for a trip from RHD to the nearby camps) to 35 AED (for a trip from RHD to Abu Dhabi). The distance and the frequency of the trip are the main factors for the ticket price. Be sure to have exact money for your ticket, because the driver doesn’t always have immediate change for your. Hopefully, our gallery displayed routes, destinations and exact timings of the buses that interest you. Traveling by bus to Ruwais and out of Ruwais will be much more easier now. You are welcome to share or print any external bus schedules. In case you have questions, please leave them in the comment section below. Schedule galery has been updated. Bus X88 timings are complete now. Are there timings between Ruwais and Silaa only? They pass by every :30 o’clock in Silaa but I don’t know what time they leave from Ruwais. UAE DOT bus from Ruwais to Sila’a doesn’t exist. You can travel to Sila’a from Ruwais by taking the X89 Bus. Does anyone have the schedule for 780 to Mirfa and back? Ruwais to dubai direct bus is there? What is the fare for the same? Take the Abu Dhabi (x88) bus and get off at the end (main bus station – near AL Wahda Mall) From there just take the Dubai bus. 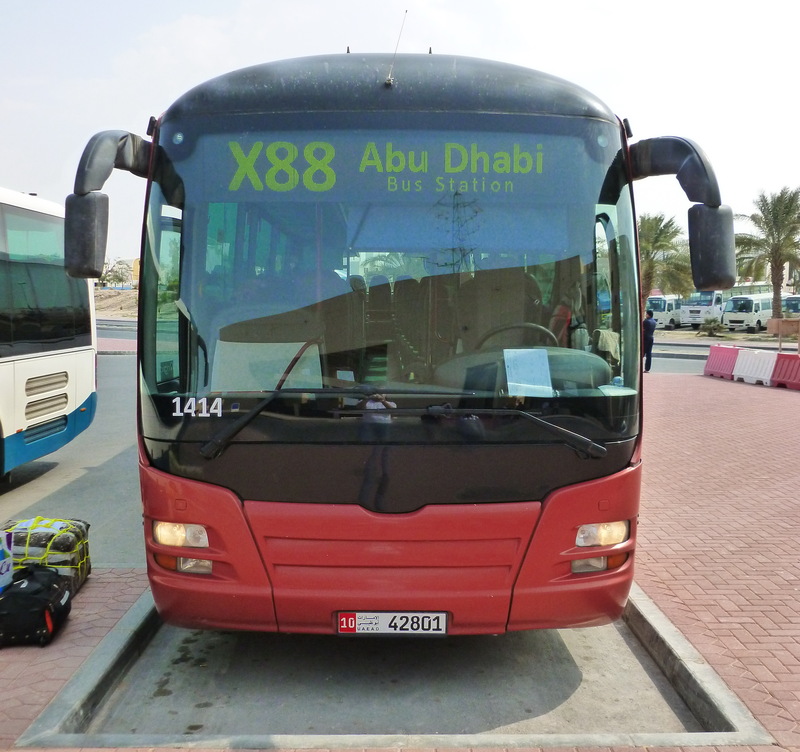 The ticket for the Dubai bus can only be purchased from inside the bus station. One way Ticket prices are about 35 AED from Ruwais to Abu Dhabi, and 25 AED from Abu Dhabi to Dubai. Dubai buses leave every half hour. No. There is no direct bus from Ruwais to Dubai. You can take a taxi if you want to travel directly, faster and more comfortable to Dubai. Had friends who took the bus from Ruwais to AD today and the timings for X88 have changed (I don’t know about others). They are posted at the bus station. Hi. Can you post the new bus timings Ruwais-AUH? I think that was the one they posted inside the waiting room in the bus station. Thank you. Thank you for these info! would you please let me know how to get to Bani Yas Island from AUH City and if it is allowed to visit the island without any Hotel booking/reservation? Is there any bus available from Abu Dhabi Air port to Ruwais? If so, what are the timings? I want to go sir bsniyas island by bus.How can I go by bus??? Which no.bus???? How can I recover my change, worth 165 AED, I traveled yesterday, but the driver forgot to give to me and I also forgot to ask him my change because I was on a hurry to catch another bus when we arrived in Ruwais. Please help. Always ask for change when you pay for the service. I want to travel from Ruwais housing to Mirfa and alight near Mirfa grand mosque area… Please help me to find the best bus and timetable of the same. is the abu dhabi to ruwais timetable updated?thank you. Hello. May I know the bus no. from Madinat Zayed to Ruwais and vice versa? Also the timing. Please help me to know this. Hi, anyone interested in Carpooling? that makes people want more? I mean Ruwais External Buses is a little plain. I wanna take a bus from Ruwais Mall(Not Ruwais Bus station) to Abu dhabi Bus Station. Dose X88 goes to there? The time schedule is correct on this page. Can you recommand see-sight near the bus station? I have not lot of time. i want to visit sir bani yas island next august by bus if that is possible. does the bus to jebel dhanna stops in the jetty to cacht the boat to the island? will be possible (easy) to find a taxi in ruwais?